This might be the best tempeh recipe I’ve highlighted to date. It features a simple ginger and garlic-spiked orange glaze that plays off the nutty, earthiness of pan-fried tempeh beautifully. Unlike many other tempeh recipes, there is no need for a long marinade time with this one, making it great for a last-minute weeknight meal. 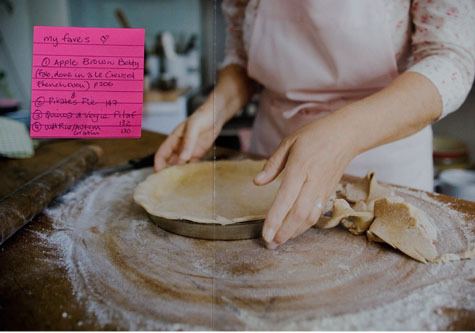 The name sounded quite familiar to me, I did a quick scan of my cookbooks, and spotted her book immediately. It was a thoughtfully composed volume of natural food recipes that I had tucked into my suitcase on my journey back from New Zealand a couple years ago. The minute I discovered Wholefood in a bookstore in Wellington, I knew I was reading along with a cook I had much in common with. Flash forward a couple years (and emails) later and we are chatting over coffee and croissants at Tartine Bakery here in San Francisco. We talked about all sorts of things, and I asked Jude if she’d let me highlight one of her recipes here on the site. She told me she had a new book just published in Australia, and that she’d send the new one to me upon her return. Today’s tempeh recipe is from Jude’s new book – Coming Home to Eat: Wholefood for the Family published by Murdoch Books. 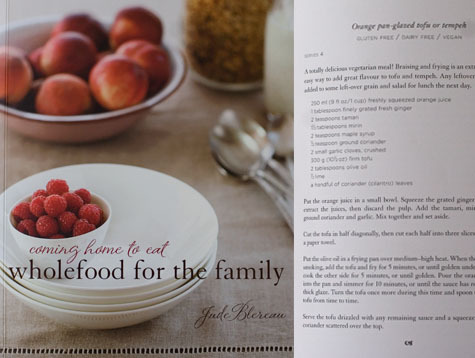 It is beautifully written, delicately designed, brimming with great recipes, and punctuated by a handful of photographs (by Geoff Fisher and Michelle Aboud) that help set the aesthetic tone of the book perfectly. My hope is that Coming Home to Eat will get U.S. distribution sometime in the near future, but as far as I know, that could take some time. Meanwhile, you can follow Jude through her site or her blog. And if you find yourself in Perth looking for a cooking class experience or natural chef training program – Jude’s the one to track down. Previous articleThe Beyond Burger at Huey’s in Memphis!